And that means that today’s lucky winner is Elizabeth (who has a new blog Life, Love and Etouffee which is worth checking out!). 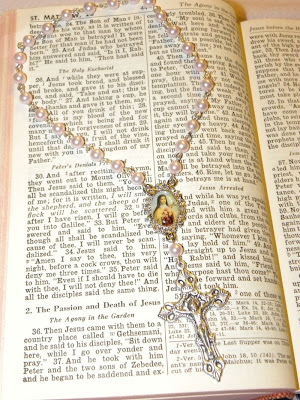 I’ll get your chaplet in the mail Elizabeth! Congratulations! I'm super excited! I'm going to sit out this next round. As much as I love it I need to give others a chance. Thanks for the plug for my Blog. It's much appreciated. 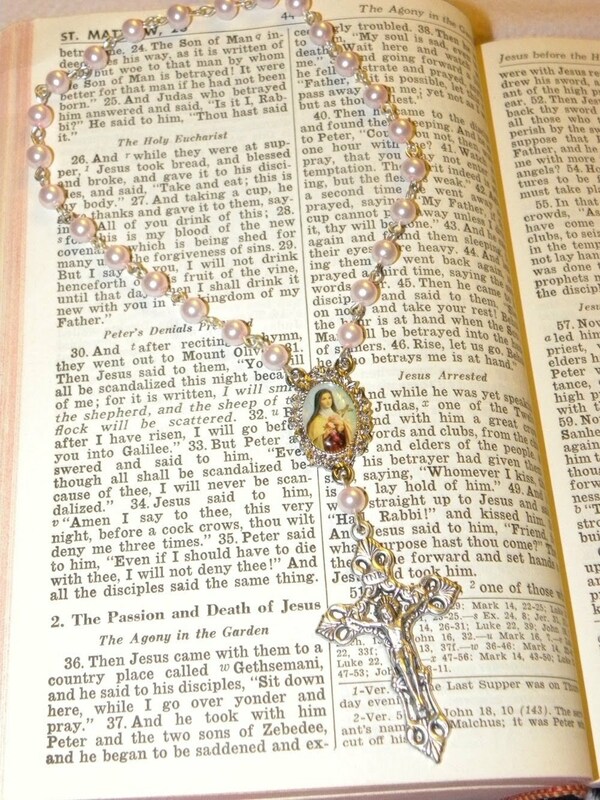 I've been using my St. Theresa chaplet daily as my communion prayer. I love it!